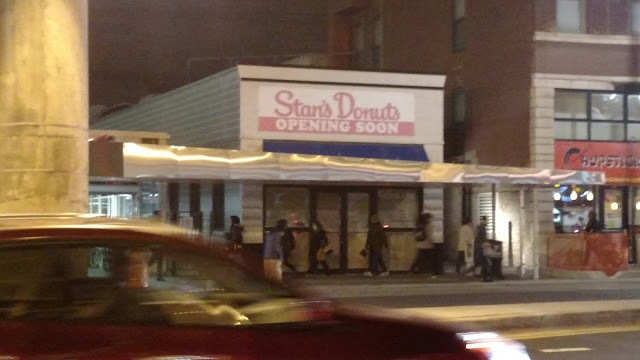 In the same spirit as its debut in Lakeview, Stan's Donuts & Coffee will be celebrating the opening of its newest location in the South Loop (28 E Roosevelt Rd) with a giveaway at all four of its stores. Prize envelopes will be given to the first 100 people in line at each location, with prizes ranging from a free coffee drink to free doughnuts for life. If you want to enjoy gratis fried dough for the rest of your days, you'll need to line up at the South Loop location before it opens at 6:30am on Saturday, January 16, where one lucky winner will never have to pay for a glazed treat again. The top prize at the other three Stan's shops will be free doughnuts for a year—not too shabby.